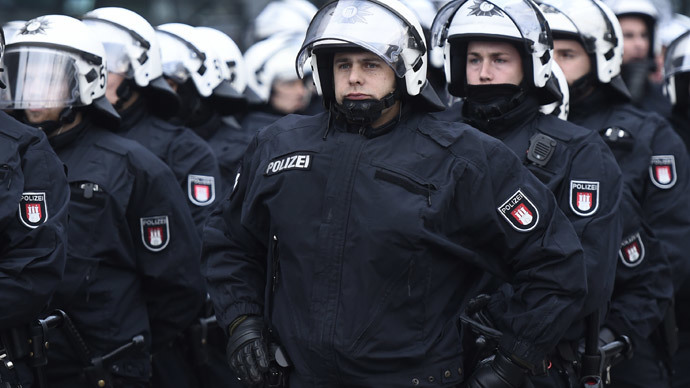 German cops should be spared investigating minor crimes, to have more time for serious cases and terrorism, the country’s police union (DpolG) has said. Among crimes that could forego police investigation are insults, property damage and using public transport without a ticket, according to DpolG’s vice-president Arnold Plickert. Those misdemeanors could be treated as civil offences, he specified, arguing the same should apply to small amounts of soft drugs such as marijuana. "We have to make it dependent on the case," Plickert told the Westdeutsche Allgemeine Zeitung (WAZ) on Monday, saying that police should only be involved in cases of repeat offenders. One of the reasons for narrowing down the scope of police activity is the growing challenge of terrorism. Another rationale is a wave of forced early retirements, which are significantly decreasing personnel numbers. Plickert indicated where police efforts would better be directed. He said the situation in some suburbs in the West German industrial Ruhr area was growing more and more tense, with foreign youth gangs warning police to stay away, saying: "Here we have the say, here no German law applies." He compared the situation in the Ruhr to that in Berlin's southern Kreuzberg district, where racial tensions have been high for a while. The district’s Görlitzer Park has been notorious for drug dealing mostly carried out by immigrants. Local authorities have even pondered the legalization of marijuana as a possible solution to the problem. A row broke out last year after a 72-year-old Kreuzberg pub owner put up a sign banning black people from the bar. His remarks sparked a massive online uproar with accusations of racism and calls for the bar to be closed.